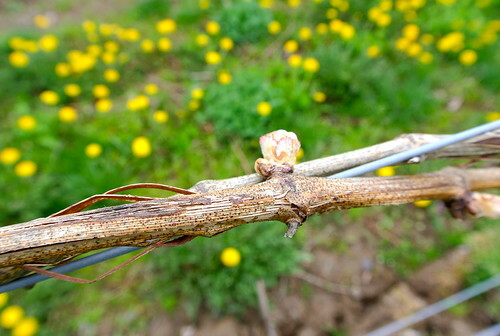 As you drive around Niagara and get an up-close view of grape buds bursting in the now warm spring sunshine it’s hard to imagine the cruel winter misery that caused such wide-spread damage a mere few months ago. It’s amazing what a little dry, warm weather can do to a grape vine. There’s no doubt 2014 will be a challenging vintage with low yields and some varieties virtually wiped out, but in talking with winemakers and growers recently, who suffered not only devastating winter cold snaps but also a late and wet start to the growing season, it doesn’t appear to be the worst-case scenario, at least in Niagara. 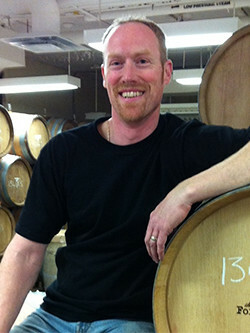 I recently spent some time with Brian Schmidt, winemaker at Vineland Estates, as we surveyed the St. Urban Vineyard, and there appeared to be enough healthy buds to promote a healthy crop. Vineland long ago removed the more cold-susceptible varieties and replanted to what does best on the Twenty Mile Bench. Schmidt, pictured above, is optimistic he’ll get 60% survival rate from his buds and has taken steps in the vineyard to promote healthy shoots to maximize the crop. In the vineyard you can see the odd vine that suffered worse than others but even those vines show some amount of early growth. The winter’s extremely cold weather from the so-called “polar vortex” hit several varieties of grapes hard. 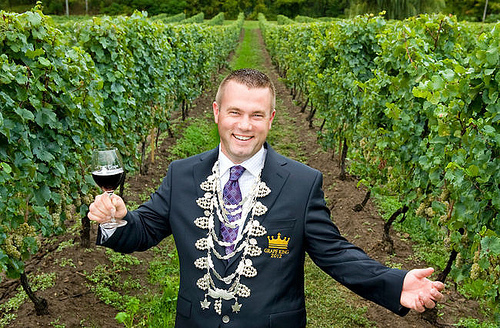 Syrah, Merlot and Sauvignon Blanc were hit hardest in Niagara. 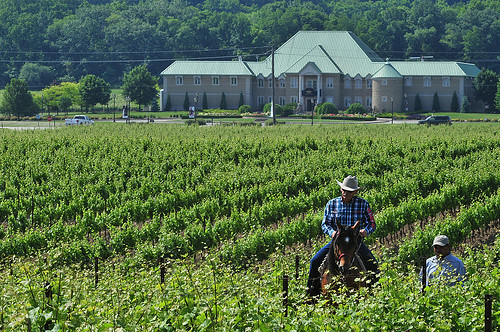 Hank Hunse, owner of Small Talk Vineyards on Lake Ontario’s north shore, said the unusually cold winter and lack of lake effect snow means he’s lost nearly all of his Syrah and Sauvignon Blanc crops for 2014, the CBC reported. But the full extent of the losses won’t be known until well into June. Grape Growers of Ontario Chief Executive Officer Debbie Zimmerman told UPI that certain kinds of grapes are heartier than others, with Merlot, Sauvignon Blanc and Syrah among the most vulnerable. “If the vines have been affected, that’s when we have broader concerns,” she said in the UPI report. 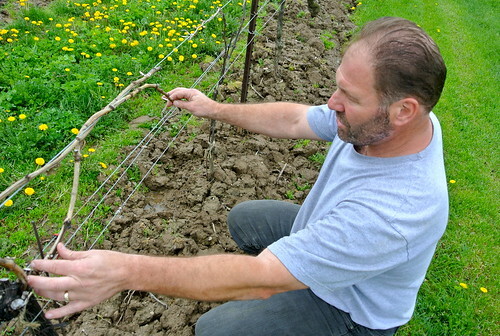 There is no doubt Niagara fared better than Lake Erie North Shore, where damage is wide-spread with some wineries reporting 100% crop loss, especially with varieties such as Syrah and Merlot, and the Finger Lakes, which was declared a “disaster area” by the U.S. Department of Agriculture. 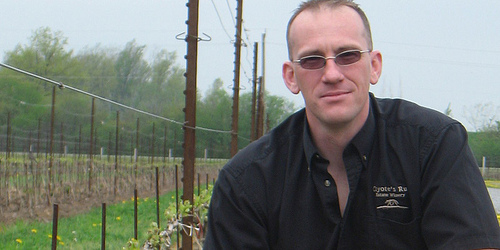 But even in Niagara crops are expected to be down 50-75%, Brock University Professor Kevin Ker told Wine Researcher recently. Ker, a grape and wine industry consultant, who lists vine winter hardiness as one of his areas of research, told Wine Researcher that, while the field examinations would not be completed until the end of June, he expected yields for the 2014 harvest would be down to 50-75 percent of the average crop, with some growers having even less depending on site and cultivars grown. 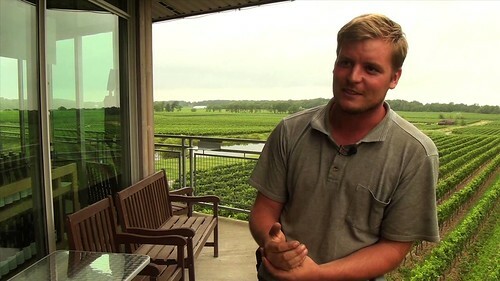 I asked several Niagara winemakers and growers for their thoughts and predictions on the 2014 crop and here’s what they had to say. It should be noted that many of these observations were taken more than a month ago before bud burst. We are expecting between 40% and 60% bud mortality on all varieties. We have taken steps to minimize the impacts, and expect to have close to a normal crop. Syrah was hardest hit with 80% bud mortality. We have undertaken some extreme pruning to try and mitigate the effects, but we are expecting to be impacted on this variety to some degree. All in all, we are keeping our fingers crossed, and not making any major decisions until June, when the shoots are out. Our evaluation so far is that we have some damage in some varieties but we only went to -20.5C at Stratus so we expect less damage than the average (for the) Peninsula or province. But overall bud break in May will tell the true story. Anyone who tells you right now is still guessing. While I appreciate Brock’s numbers, I would use that information to formulate a loose pruning strategy. I still use the wait and see method. There are very few industry people other than the Schmidts and Len Pennachetti who have experienced financial vineyard catastrophe. I was 13 years old when the freeze of 1980 happened, it was -29C one night, the only grapes we picked that year were Vidal, and it was a half crop. Chardonnay had zero crop and 15 per cent vine death. 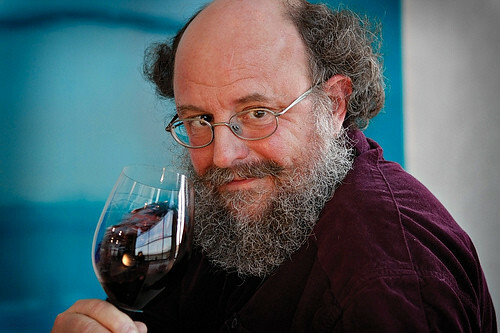 Merlot was 80% death in some blocks with no grapes. What we have experienced this year will affect us for the coming 5 years. Vines may look good initially and then collapse three months later with trunk damage. This is a story you don’t want to get the scoop on and be wrong. If someone gives you an ironclad prediction (oxymoron) ask them if they have ever experienced this kind of winter or lost vines due to this kind of event. If the answer is no, than their answer doesn’t count. My standard answer is and always has been “I will tell you the second week of May.” In conclusion, as it takes “35 years to break even” on cost of establishment of Chardonnay, this kind of event will force many growers to potentially sell their farms or convert to cash crops. “We are not out of the woods yet due to the risks of frost over the next 2-3 weeks. 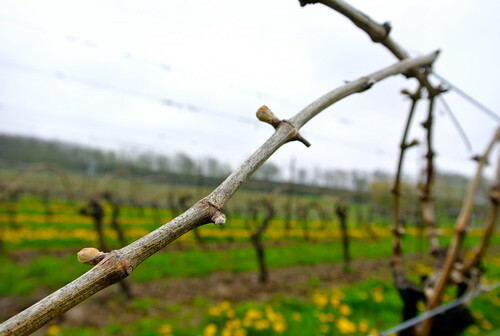 The amount of bud damage has now been documented throughout the Niagara Peninsula and other growing regions in Ontario and this is the case as well with our own vineyards in Niagara-on-the-Lake. Basically the usual suspects were the hardest hit (Sauvignon Blanc & Merlot) with bud damage in the 25-40% range. Hardier vinifera like Chardonnay and Cab Franc fared better but it is still too early to predict crop size in 2014 because other factors other than bud survival rates also play a significant factor. You are correct we are not out of the woods, from a winemaking/vineyard perspective we tend to think that we only get there when we have the grapes in the winery. Other risks beyond spring frost, include late spring start (which we are seeing), poor set due to rain at that time of year, poor ripening due to lack of growing sunshine hours, Fall frosts, high disease pressure, pest problems including birds and lastly rain-days during harvest, but apart from that all is golden in the vineyard. High level summary for crop yields following the gruelling winter we have just survived, is we are working at a worst case scenario but recent vineyard analysis is showing the situation is not as bad as first thought. Our worst case view was 60% loss on tender varieties – Sauvignon Blanc, Merlot and Shiraz and 30% loss on hardy varieties (all others), latest reviews are showing it will likely be 25-30% on tender and 10-15% on hardy. Net resulting view is we will likely be up to 30% average loss for the coming vintage. This needs to be pictured alongside the fact that in vintage 2013 we had a bumper crop in Ontario coming in 30% over estimate, most producers in Ontario have a lot of wine in tank and a lower 2014 crop will bring the inventories back into line. Yes we had some damage as everyone has this year. Most of the damage seems to be to Sauv Blanc, and Merlot. We are still optimistic for the 2014 harvest, however. We have employed some different pruning strategies (ie leaving more canes and spur pruning) to keep viable bud numbers in a range that will maximize the crop for 2014. The vines themselves seem healthy and we did not experience and trunk splitting, so that was good news. We will see exactly how the preliminary numbers and the actual bud growth line up over the next few weeks as the buds start to push. 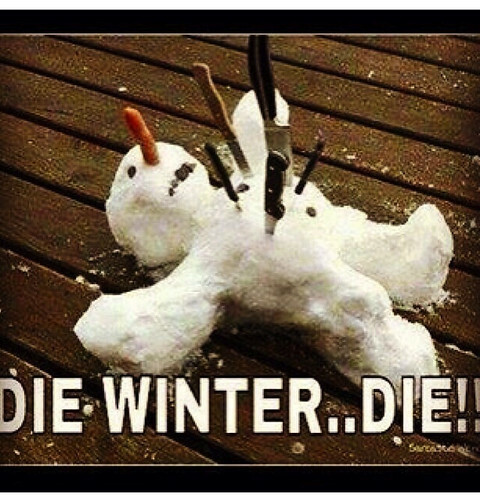 My two cents: Brutal winter to say the least! At this stage in the game we know we have some damage. We haven’t had enough warm weather yet to get the buds pushing to see exactly what we are dealing with in terms of bud damage. In our vineyard operation we have pruned accordingly knowing we have damage in all varieties (some more than others). We have left more canes or spur pruned to give us a higher bud count to work with. We will be training renewal canes up in the event the trunk of the vine is compromised – Fingers crossed this doesn’t happen! Speaking with older and wiser farmers in the area they say that because we had a good consistent cold instead of huge drastic swings in temps, this may help mitigate the damage. Most affected varieties are the usual suspects – Syrah, Merlot, Sauv Blanc, Gewurzt. We’re Looking forward to a nice hot dry summer! Yes, it’s been an interesting winter. Unfortunately, things looked like a perfect storm heading into the winter of 2013/2014. The vines carried a large crop in 2013, limiting the available reserves to begin with. The early frost didn’t help things at all as losing our leaves early leaves us with no chance of any recovery. The brutal cold and driving wind took its toll. There are no rules or guidelines in this type of scenario. Even in each sub appellation, it is extremely site dependent. We’ll even see trends in each individual vineyard or block. Bud sampling, especially after a winter like this is crucial to any quality vineyard management plan. My company, Glen Elgin Vineyard Management, has taken samples from Grimsby through to the Niagara River Parkway, from the lakeshore to the flats on top of the bench. That’s over 200 different blocks of grapes. That means more than 20,000 buds were cut in our lab this spring. Gleaning this information helps us to develop a specific management plan for each block in each vineyard we manage. Our speciality is this extra level of detail to the pruning plan, and the vineyard and property in general. A good pruning plan is so critical because we are literally beginning to carve the parameters for our vintage into stone. We start to dictate the number of buds, and potential crop level of the vines. With winter damage like this, we are trying to compensate for bud mortality and maintain a reasonable cropping level. It is also important to maintain what we call “vine balance.” Winter damage can affect this balance, and blindly diving into pruning can upset this delicate balance. This is a year to err on the side of caution, leaving extra canes to tie down later if needed. If things are looking all right at bud break, we can move a crew through the vineyard to remove these extra canes for a relatively low cost per acre. I see this as cheap insurance. At this point, some of the worst damage we have seen is in the flatlands above and below the Bench, as well as the far Beamsville/Grimsby area. Central Niagara on the Lake was hit pretty hard as well. Some of the best numbers we’ve seen are the Vineland Bench and St. David’s Bench areas. The best single numbers I’ve seen are Gamay and Pinot Noir on the Vineland bench. The best average site numbers (across all varietals) are from the St David’s bench area. The hardest hit common varieties are Merlot, Syrah and Sauvignon Blanc. We are also seeing a lot of damage in some of the rare varieties like Sangiovese, Malbec and Petit Verdot. The best numbers I have seen are coming from Pinot Noir and Gamay. One interesting trend I have noticed from this winter’s damage is an extreme correlation between late harvested varieties and the bud mortality. Cabernet Franc and Riesling are often some of our hardiest varieties. After picking so late in 2013, they are actually showing surprisingly low survival. I would attribute this being harvested post frost (no leaves left on the vine.) With no leaves left on the vines there is no chance of any photosynthesis, and little available reserves to begin to de-acclimate with. We are also seeing a correlation around the aforementioned vine balance. Balanced, healthy vines are showing better survival numbers than small, weak vines and over vigorous vines. We are now into the bud break stage and starting to get an idea of what we are actually dealing with. In many scenarios, this attentive, careful approach I speak of has not only allowed us to make the most informed decisions, but sometimes has been the difference between a crop and a write off. The one thing we can be sure of is the tale of 2014 has not been finalized until harvest. There are likely to be some surprises along the way — both good and bad. In most vineyards, 2014 will be a rebuilding year. In many scenarios we may put the overall health and longevity of the vine ahead of a short-term gain. It’s years like this that bring us back to the basics of proper vine balance, hilling up in the fall and retraining suckers/new trunks as needed. The vines are constantly evolving and it is our job to use the subtle hints they give us and integrate this into our ongoing vineyard plan.